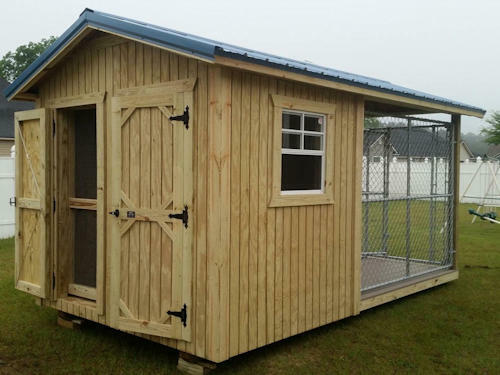 ur kennels are built with the same high standards and quality as our storage buildings. 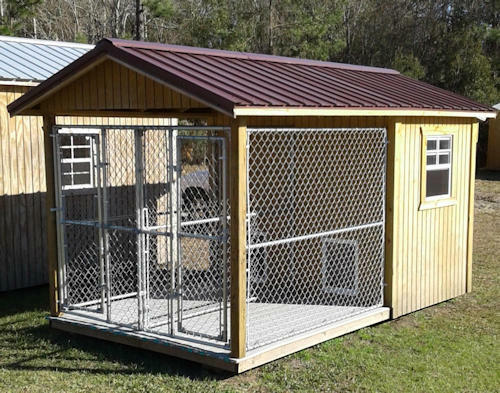 The Dog Kennel features two bays with both a completely covered portion in the back and a chain-link enclosed section in the front. With doggie doors for easy access to the enclosed porch, your pet will be living in the lap of luxury! We can customize your choice to your wishes.